Tonight Alive are the five piece pop-punk band from Sydney who in the past couple of years have taken over the pop/punk scene in Australia. They have gone from supporting the likes of 3OH!3, The Getaway Plan and Simple Plan to now playing festivals such as Soundwave, Warped Tour, Bamboozle, and the Kerrang! 2013 Tour. 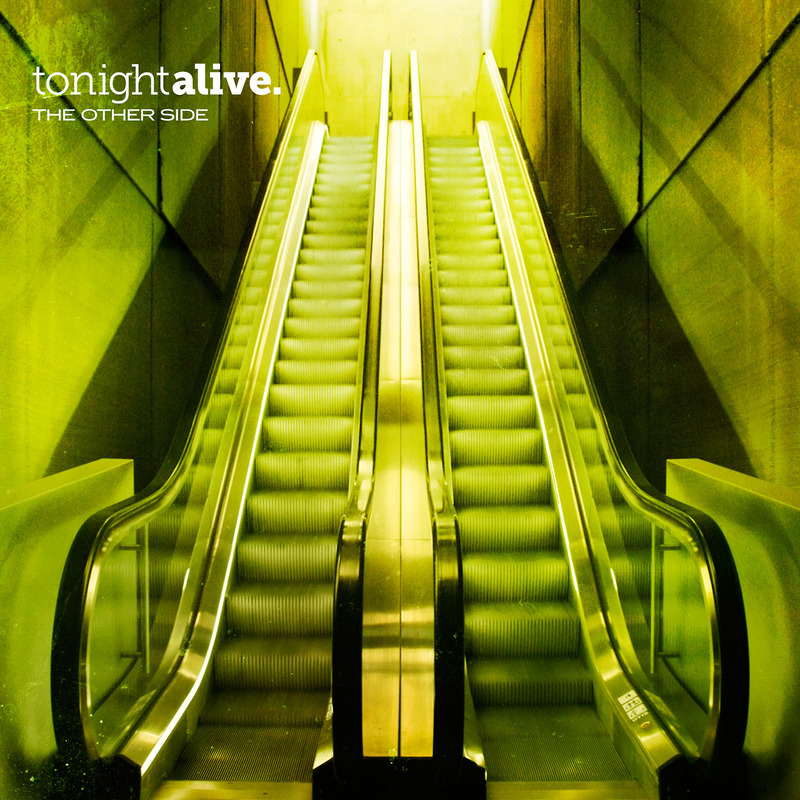 ‘The Other Side’ is the bands second studio album and it is quite different to their debut album ‘What Are You So Scared Of’. This album is more focused on the lyrical content and the musical shape of the songs where as their first album was more defined by their catchy hooks. It’s a mature sound and works in their favour as people are finding it easier to have that emotional connection towards their music. ‘You Don’t Owe Me Anything’ and ‘The Other Side’ are two stand out songs with incredible lyrics and are two of the strongest tracks. The album isn’t as commercial or immediately catchy unlike ‘What Are You So Scared Of’ and the punk-pop sound is fading and progressively becoming pop/rock which really suits them. Jenna’s vocals have remarkably improved over the past few years, her technique is stronger and she has now become one of these vocalists that people go “Oh this must be Tonight Alive, it sounds like Jenna”. They have stepped it up focusing on giving the fans what they want which is great pop/rock songs with meaning. Highlights from this album include ‘Lonely Girl’, ‘The Other Side’, ‘Complexes’, ‘No Different’, ‘Come Home’ and ‘You Don’t Owe Me Anything’. Some of the songs do sound the same with the same formula being used but this a common thing with pop/rock bands. Definitely give this album a couple of listens and you will find yourself growing more attached to these songs and really enjoying this new sound.